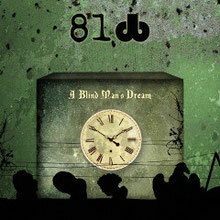 81 db will release their 3rd album "A Blind Man's Dream" through Bakerteam Records on October 28th 2013. 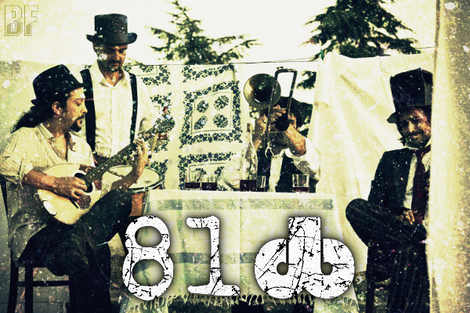 81 db is a band based in Italy, was formed on April 2006 by the Greek guitarist Kostas Ladopoulos and debuted in 2009 with the critically acclaimed album "Evaluation". The album brought to the band their extensive touring throughout Europe and a video for a single "Voices" was aired on MTV Greece and MAD TV. Their music style is an unique combination with alternative and progressive heavy rock. The band has played an opening act for British Hard Rock legend Deep Purple in Torino, Italy. Eventually that drew an interest of American Grammy nominated producer Sylvia Massy (Tool, System Of A Down), and led to their second album "Impression" (2011). The third album "A Blind Man's Dream" mixes heavy riffs, progressive beats and influences raging from Classic Rock to Folk music, whilst the lyrical concept was inspired by the movie 'One Flew Over The Cuckoo's Nest'. 81db is the first band in Metal to use the ethnic Greek instrument 'bouzouki' in this extended original way (even at the live concerts) as far as we know. The style is described from many reviews 'sons of Faith No More and Pain Of Salvation', 'Dream Theater and Metallica meets System of a Down', 'Sirtaki metal' and 'original bouzouki metal'.